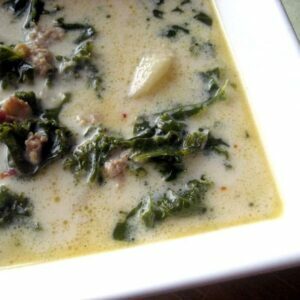 I created this recipe last winter when I was in a freezer-meal frenzy. Having freezer meals ready to pull out right after you have a baby is THE BOMB. Before our little man made his appearance I had about 21 meals worth of stuff in the freezer, and I still have a container of this chicken left. I mentioned my pre-baby freezer prep on Instagram and a few of you asked about freezer-friendly meals, so I added a Freezer-Friendly category in my index. (You’re welcome!) These are recipes that I have either frozen myself or ones that I would see no trouble with freezing. This time around I froze mostly soups, chili, layered casserole-type things, and lots of shredded, slow-cooked meat. 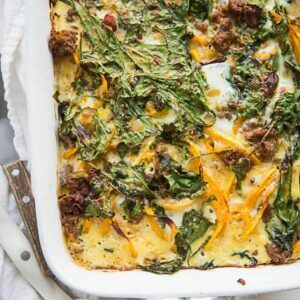 Shredded meat isn’t a stand-alone meal, but it can give you a head start if you’ve got some produce in the fridge. You can also freeze large batches of tortillas, pancakes, waffles, and cookie dough. I didn’t add those things to the category — just dinners. 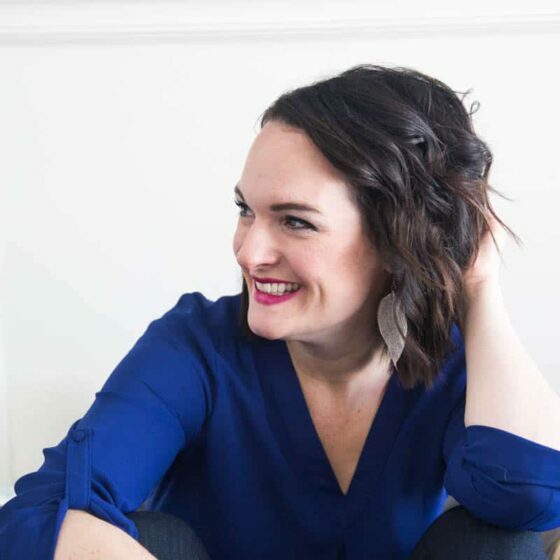 If you’re into making big batches of shredded meat in the slow cooker or Instant Pot pressure cooker and freezing it, you may like these other recipes on my site! 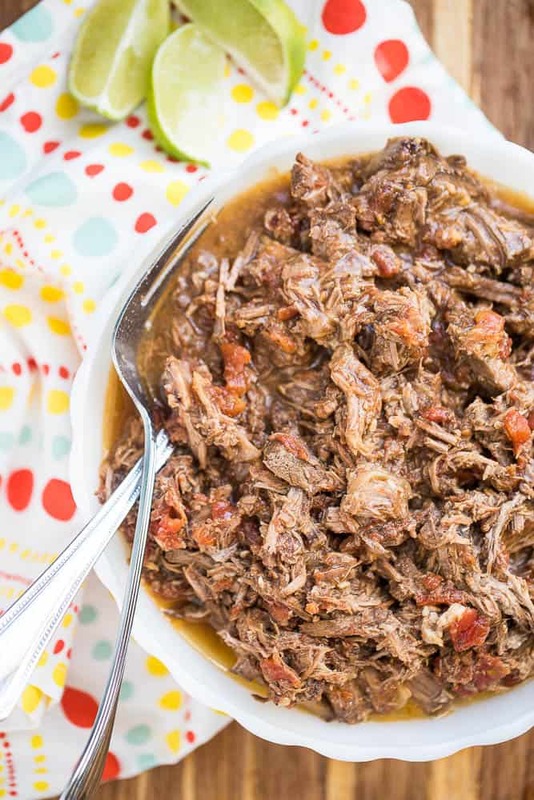 Slow Cooker Chipotle Shredded Beef — The very first Mexican-inspired shredded meat recipe I ever made. And still one of our very favorites! Taqueria-Style Shredded Beef — If you have a few extra minutes, I REALLY think you should make this one. 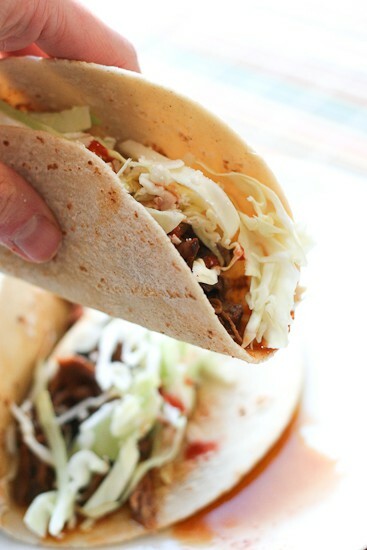 It’s just like that drippy, tender meat from tacos you get at those hole-in-the-wall places. Amazing. 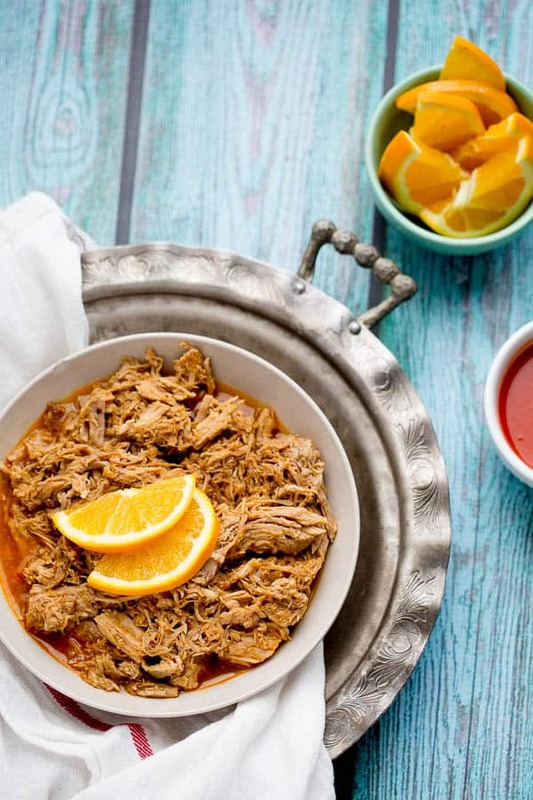 If shredded or pulled pork is your thing, you’d love this Hot & Sweet Orange Pulled Pork! 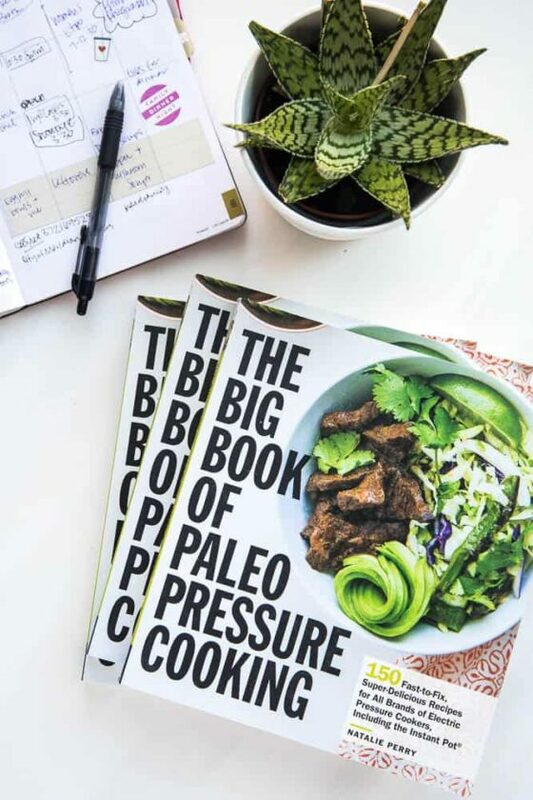 You can make it in a slow cooker or an Instant Pot Pressure cooker! 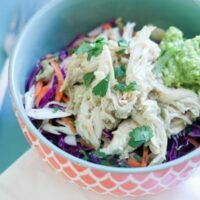 This slow cooker green chile chicken is such a versatile recipe -- great on tacos, salads, nachos, lettuce wraps...and on and on and on. Combine chiles, onion, garlic, cumin, coriander, salt, pepper, jalapeno, and lime in a blender or large food processor. Blend until smooth. Place chicken in a 4-6 quart slow cooker. Pour chile mixture over top. Push the chicken around a bit so the chile mixture can go in between all of the pieces. Close and cook for 4 hours on high or about 6 hours on low. 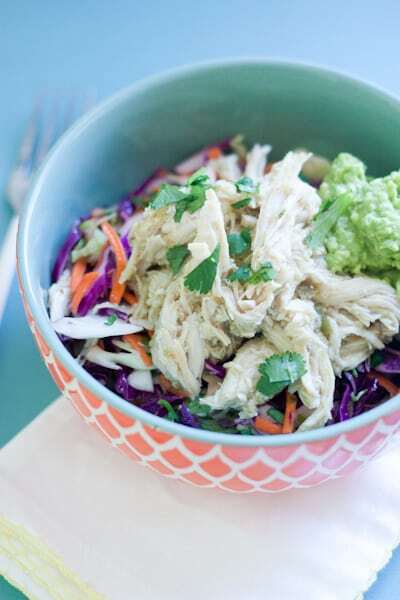 Remove chicken, shred, and place back into the slow cooker. Stir in cilantro and green onions and season, if necessary. Nat's Note: You don't have to blend the sauce. You could just add all those ingredients straight into the slow cooker. I blend so my kids don't freak out by seeing chunks of chile and onion. 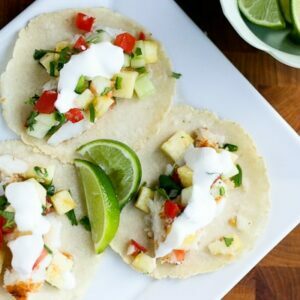 This is exactly my kind of slow cooker recipe girl! Do you ever use tomatillos in your green chili?